Tim Reed is the CEO of accounting and business software company MYOB. In his 15 years at the company he has overseen its transformation into an Australian tech institution, delivering business management tools to clients across Australia and New Zealand. In his time at MYOB, Tim developed his skills in business development, leadership and strategic planning. He sits on the board of the Business Council of Australia, is on the Business Advisory Panel to the Minister for Small Business, and is chair of the Salvation Army’s Oasis Advisory Board. Tim believes in harnessing the power of diverse and supportive workplaces to drive innovation. Before starting at MYOB in 2003, Tim lived and worked in Silicon Valley where he held senior management roles in sales, marketing, product management and finance within a number of global technology and online companies. His management career spans technology businesses across Asia, Europe, the United States and Australia. He studied at the University of Melbourne and Harvard Business School. Tim is particularly interested in the intersection between technology, innovation and business. In his keynote, Tim will discuss the challenges facing leaders in future workplaces. Tim’s experience growing tech companies and his forward-thinking attitude make him a compelling and insightful keynote speaker. Sally-Ann Williams is the engineering community and outreach manager for Google Australia. She is responsible for leading Google’s efforts in CS and STEM education and outreach with schools, universities and startups. An experienced program manager, Sally-Ann has a strong track record of creating and driving education programs nationally and internationally. In her work with Google, Sally-Ann has focused on scalable and sustainable change in curriculum and professional development for teachers. She manages over 65 partnerships and projects and has created innovative programs to help deliver training to teachers with a goal of bridging the digital divide. Sally-Ann has utilised her background in tertiary academia to create strong partnerships with schools and universities to drive innovative research agenda. She has helped to create and administer national engagement strategies on innovation and entrepreneurship, working with a range of incubators, accelerators, universities and the public sector to grow the Australian startup ecosystem. In her keynote, Sally-Ann will discuss Australia’s education and innovation landscape and her predictions for the future. Sally-Ann’s work with Google and experience in CS & STEM education have given her expert insights into the future of work in Australia. George Stavrakakis is the director of the public and education sectors for Microsoft Australia. During his 20 years with Microsoft, George has worked as the director of education, as the channel partner director and as the state director for Victoria and Tasmania. Throughout his career, George has partnered with industry and government to positively impact people, communities and economies through digital transformation. His passion for mentoring future leaders has been a driving force throughout his career and has led him to volunteer his time as a mentor for the Australian Business Council Network. George has worked with Microsoft Australia across a variety of sectors including health, government, education, energy and utilities. His deep knowledge of the Australian business landscape and experience in one of the world’s largest technology companies make him an expert on the future of work.  During the FW Summit, George will sit on a panel to discuss collaboration versus competition in the future workplace. 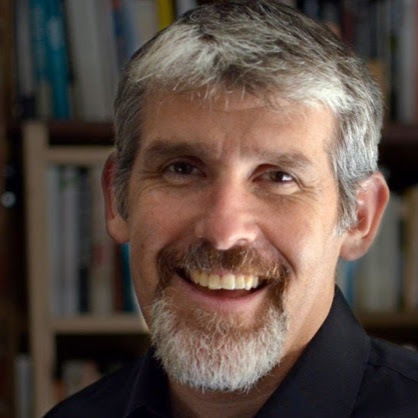 David Platt is the director of Resilient Futures, which works with organisations to leverage the changes brought by technology and automation. He is a strategist and expert facilitator with experience in education, social enterprise, community development and organisational change. He works with communities and companies to develop strategic leadership skills with a goal of preparing current and future leaders to thrive in times of change. His approach is based on twenty-five years of experience in working with organisations around the world. David believes that all organisational leaders must make a choice – see disruption as a tailwind and act to leverage it, or view it as a headwind and fall foul of its consequences. He believes that the first step in leveraging disruption is for organisational leaders to be at the forefront of new strategic thinking. David has co-authored Resilient Futures’ annual Disruption Report and is the co-writer of Disrupted: Strategy for Exponential Change and The Disruption Readiness Test. During his keynote, David will speak about decoding disruption how to leveraging the change. He will also perform a live Disruption Readiness Test during the FW Summit and the results will be deconstructed and compared to industry averages. David’s knowledge and skills in strategic planning make him a compelling keynote speaker and an excellent addition to the advisory board. Monica Parker is the founder of HATCH Analytics, an international change consultancy that uses social science methods to improve a business’s culture. Monica has a background in design and is an internationally-renowned speaker. She has a diverse occupational background, having worked as a homicide investigator with Florida's Department of Justice and as a museum exhibition designer at the Wolfsonian in Miami. Parker studied at the University of Pennsylvania at Wharton and at Queen's University Belfast where she specialised in predictive behaviour. She worked in a managerial capacity in a series of innovative companies before creating HATCH Analytics. Monica’s goal in life is to help inspire positive action through embracing change. As well as overseeing the day-to-day operations of HATCH, Parker enjoys getting involved in the technical side of the business. She challenges her clients’ ideas about the status quo, and is a believer in the performance benefits of behavioural workplace change. She believes strongly in the scientific method, using data and research to create pragmatic and commercial solutions. 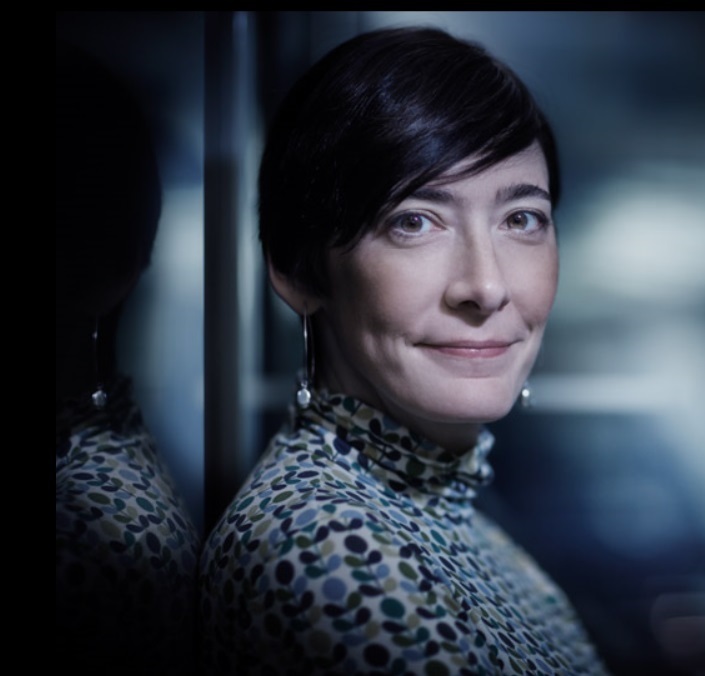 In her keynote, Monica will examine the the impact of design on organisational change and transformation. Tim Grogan is the head of LinkedIn’s Global Sales Enablement team. In this role, he is working to understand the art of transformation and how to successfully help individuals realise their potential. The Global Sales Enablement team is composed of the Go To Market team and the Center of Excellence, with a goal of building the future resource library of soft skill programs enabling managers to effectively build sales excellence. Tim has worked with LinkedIn since 2011, and has headed several teams across Asia Pacific including the Solutions Division and the Capability & Leadership Development Division. In his role as Head of Solutions for APAC, Tim ran a team of 25 and helped to grow sales revenue to over $30m. Tim has is highly knowledgeable about sales management and promotional marketing, having worked in a marketing capacity for Ernst & Young, Adcorp and Corporate Express. Ed Husic is the Shadow Minister for the Digital Economy, as well as the Shadow Minister for Employment Services, Workforce Participation and the Future of Work. Elected to Federal Parliament in 2010, the Western Sydney-based MP has advocated for policies designed to promote early stage and digital innovation. Ed’s primary focus has been preparing for the impact of automation and technology on current jobs, as well as growing the startup and digital entrepreneurship ecosystem. He also championed policies to help accelerate the creation of startup communities beyond Australia's capital cities. He has campaigned for faster broadband in his area to help small businesses and entrepreneurs stay at the forefront of technology. Johanna Pitman is the program director of BlueChilli’s accelerator program CityConnect, an innovation program crowdsourcing solutions at the intersection of the future of work and smart cities. Johanna has a varied background across the public and private sectors. She previously worked as deputy CEO for the Committee for Sydney, an independent think-tank advocating for global best practice in city-making. BlueChilli is Australia's leading startup accelerator. With over 100 portfolio companies, its own venture fund, and a team of in-house experts, BlueChilli supports entrepreneurs to build their technology product and business. BlueChilli pioneered the world’s first accelerator for female-led idea-stage startups with the launch of SheStarts in 2016, accompanied by an award-winning documentary. Johanna holds a Masters in Regional Studies from Harvard University, and is passionate about empowering entrepreneurs to make cities more prosperous, inclusive and liveable for all. Johanna’s work in female-led startups and her excellent public speaking skills make her a wonderful addition to the FW Summit. She will be sitting on a panel to discuss the future of work and entrepreneurship in Australia. Yohan Ramasundara is the president of ACS, the professional body for the Australian Information and Communication Technology sector. ACS works to improve education and provide professional accreditation for ICT professionals. In addition to his role at ACS, Yohan is the secretary general of SEARCC, the South East Asia Regional Computer Confederation. Before working at ACS, Yohan was the innovation manager of international operations for Austrade in San Francisco. Prior to that role, he worked as head of governance at IP Australia and as the national manager of assurance services at Ecowise Environmental, Australia’s largest provider of integrated environmental consulting services at the time. Yohan’s experience in computing, intellectual property, trade, investment, public service and environmental consulting make him a compelling speaker with wide-ranging expertise. At the FW Summit, he will be a panel member discussing the future of work and entrepreneurship in Australia. Dr Amanda Caples is the lead scientist at the Department of Economic Development, Jobs, Transport & Resources. In this role, she works across the Victorian Government to encourage collaboration and identify economic opportunities by engaging with business, the research sector and the Australian government. Amanda has a background in technology commercialisation, public policy development and governance. She worked as the Deputy Secretary Sector Development and Programs where she was responsible for future industry growth plans and supported the Victorian science, innovation and entrepreneurial ecosystem. She is also involved with the Department of Education and Training on science, mathematics and C21 skills initiatives. We can’t wait to hear her speak about collaboration vs. competition at the FW Summit on May 30! Dr Angus Hervey, Angus is a political economist and a journalist specialising in the impact of disruptive technologies on society. Co-founder of Future Crunch, a platform for intelligent thinking about the future of science and technology, and former manager of Random Hacks of Kindness, a global initiative from Google, IBM, Microsoft, NASA and the World Bank to create open-source technology solutions to social challenges. Former manager of Global Policy, one of the world's leading international political journals. He holds a PhD in Government and a Masters in International Political Economy from the London School of Economics, where he was also the Ralph Miliband Scholar from 2009 to 2012. Tane Hunter, Tané is a cancer researcher, bioinformatician, and science communicator. He works with big data in the biological realm. In 2004 Tane won a US national mountain biking title and was heading for a career as a professional cyclist. Unfortunately, an injury in 2006 brought Tané’s cycling career to an end and he refocused on science, statistics, and viticulture. Bioinformatics in 2013. He has worked for the Royal Children’s Hospital diagnosing rare genetic diseases in children and is currently completing his PhD at the Peter MacCallum Cancer Centre in Melbourne, using molecular biomarkers and artificial intelligence to better understand, diagnose and improve treatment for people suffering from cancer. He is also an avid sailor, and participates in races around the world. Dr Darien Rossiter is the Principal Advisor to RMIT University’s deputy vice-chancellor of education and vice-president, and 21CC Lead. She leads RMIT University’s new micro-credentialing program aimed at improving the employability, career outcomes and life skills of students. With extensive experience and insights in organisational contexts, including higher education vocational and defence training environments, Darien has successfully managed change initiatives delivering complex programs in the design, development and the delivery of online education. Darien’s involvement in the ecosystem of digital learning and micro-credentialing has put her at the forefront of global thinking to align innovative learning design, key industry expertise and an integrated technology approach. Darien has published widely and has presented at a number of international conferences in Australia and abroad. In 2018, she was appointed as a member of the ICDE Working Group on the Present and Future of Alternative Digital Credentials. S. Ryan Meyer is the senior director of the Asia Pacific Region for General Assembly, a global education startup that focuses on coding and UX design. Ryan is responsible for leading strategic growth in the region and oversees a team of over 60 across Singapore, Hong Kong, Sydney and Melbourne. A serial entrepreneur, Ryan created AlumniFunder, a crowdfunding platform helping student- and alumni-run businesses in research university communities. He also co-founded Minds-in-Motion, a brain-training company that helps 65,000 students across the United States daily using a data-driven approach to physiological and cognitive development using technology originally developed for NASA. Ryan spent nearly a decade as director of sales at Dai Nippon Printing, a Global Fortune 500 company. Before working in the Asia Pacific Region, Ryan was the regional director of Los Angeles for General Assembly. Ryan has driven results across General Assembly's APAC operations, accelerating revenue growth to 35%+ yearly through a focus on data science and web development offerings. Ryan’s background in technology startups and his leadership experience give him a unique insight into the future of work. During the FW Summit, he will be a panel member discussing how to rewire your brain for the digital era. Carina Parisella is a senior engagement partner at ANZ and a communications pro with over 15 years of experience in her industry. She is currently working to shape and deliver ANZ’s digital partner ecosystem, a series of strategic alliances between startup incubators, universities and for-purpose organisations. She is working to deliver value to customers and the community through collaboration, projects and events. Carina works at the intersection of arts, science and innovation, with a strong focus on bringing ideas and solutions to life. Carina supports a number of strategic programs aimed to improve diversity in the workplace. She also works as a SheStarts advisor, Robogals partner and social ambassador for the Thankyou Group. Carina was recently recognised as a finalist for Thought Leader of the Year in the inaugural Women in Finance Awards and has represented ANZ on a global stage for various events including international hackathons and open innovation programs. A seasoned MC and facilitator, Carina has presented at some of Australia’s largest events including Sydney’s Spark Festival, Melbourne Knowledge Week and The ACS Disruptor Awards. As the MC of the FW Summit, Carina will use her background in strategic collaboration and communications to drive the show while providing her insights on the future of work. Sarah Moran is the co-founder and CEO of Girl Geek Academy, an educational organisation with a mission to get 1 million women working in tech and launching their own startups by 2025. Girl Geek Academy runs a number of initiatives include coding and hackathons, 3D printing and wearables, game development, design, entrepreneurship and startups. Sarah helped develop Australia's first all-women hackathon, #SheHacks, Australia's first all-women makerfest, #SheMakes, and the world’s first hackathon for girls aged five to eight, #MissMakesCode. Sarah learned how to code from the age of five, which has driven her work to educate young women in technology. Sarah has a background in communications and marketing, and has spent time working in Australia and Silicon Valley. In 2017, Sarah joined the Channel Ten and FOXTEL LifeStyle channel television series Common Sense to speak about her work. Sarah’s experience educating the next generation of female tech entrepreneurs makes her an expert advisory board member and speaker. During the FW Summit, Sarah be joining a panel discussion on competition versus collaboration in the workplace. Luke Kerr is the Program Director of Real Time Learning, a social enterprise working to address the shortage of expertise and opportunities in STEM fields and entrepreneurship. RTL pairs students with local businesses to partner their learning and help bridge the gap between theory and practice. Students are able to learn about their industry while making a difference in their local community. RTL has helped to develop lasting relationships between businesses, schools and communities. Before working with Real Time Learning, Luke spent over 15 years working as an educator, specialising in Mathematics. This experience gave him insight into the industry and an understanding of the acute need for practical engagement between STEM students and companies. RTL understands that diverse workplaces are more innovative, and allowing young people to participate is beneficial to both the student and the host organisation. In 2017, RTL participated in PwC’s 21st Century Minds Accelerator Program that worked closely with 19 other national STEM initiatives. Luke’s deep understanding of STEM fields and his educational background make him a knowledgeable speaker with expert insights into the future of work. During the FW Summit, Luke will be the moderator of a panel discussing collaboration versus competition. Melbourne’s “Hackathon Queen” Michelle Mannering is the founder and director of MishManners. In this role, she takes a hands-on approach to running hackathons, implementing social media strategies and coordinating tech events and workshops for clients. In the past, Michelle has worked in a variety of innovative companies in diverse areas including eSports, hackathons, virtual reality and in startups. She is at the forefront of Melbourne’s science, technology, eSports, and startup scenes, which has given her great insights into the future of work. She is also an accomplished MC, speaker, and facilitator with a background in communications, events coordination and marketing. We can’t wait to hear her keynote speech and panel at the FW Summit on May 30! Nicola Hazell is the director of female entrepreneur program SheStarts and is head of diversity and impact at startup accelerator Blue Chilli. Launched in 2016, SheStarts aims to encourage female entrepreneurship through investment, mentoring and training by helping founders turn their ideas into globally scalable, high-impact tech companies. SheStarts won Accelerator of the Year in 2017 at Startcon. At Australia’s largest startup accelerator BlueChilli, Nicola works to encourage diversity and representation in STEM fields. She is the executive producer of award-winning documentary series SheStarts, which won silver at the prestigious Mumbrella BEFEST Awards. With a background in media and public affairs in NGOs, Nicola is a passionate contributor to the global dialogue on gender equality and social innovation. Nicola is a regular on the international speaking circuit and is a passionate contributor to the global dialogue on gender equality and social innovation. Her experience in the media industry and with startup accelerator programs make her an inspiring speaker with key insights in the industry. Heather Catchpole is the co-founder and head of content at STEM-specialist publishing and distribution company Refraction Media. The company works to engage young people with science and technology using digital media, career guides and teacher resources. Heather founded the company in 2013 to help create a smarter future - one in which everyone has access to the skills they need to make a better planet. Before co-founding Refraction Media, Heather worked for over a decade as an editor, science news journalist and producer at the ABC, Cosmos and CSIRO. She has a proven track record in building cross-functional teams, creating integrated communications and outreach strategies, managing clients and working with a diverse range of stakeholders on multi-level projects. Refraction Media have distributed over 1 million magazines to students across the USA, Australia and New Zealand through their ‘Careers with STEM’ brand. In 2015, the company was awarded Publish Australia’s best small publisher and was twice shortlisted best startup in the Telstra Business Awards. Jeanette Cheah is the chief strategy officer and co-founder of The Hacker Exchange, a global, tertiary-accredited education program connecting the next generation of Australian entrepreneurs with opportunities and resources in the innovation capitals of the world. HEX operates immersive startup bootcamps, university exchange programs and internships in Silicon Valley, Tel Aviv and beyond. Earlier in her career, Jeanette spent 15 years innovating, marketing, and building digital products within ANZ, AMP, AXA and Origin Energy. She is a regular speaker at General Assembly, SXSW, Melbourne Knowledge Week, and was listed as a women of influence in Smart Company's 2018 International Women's Day Showcase. Georgia McDonald is the General Manager at Melbourne’s Wade Institute of Entrepreneurship, which aims to create and empower the next generation of entrepreneurs. The Wade Institute is the home of the University of Melbourne’s Master of Entrepreneurship, boasting a range of programs that put the focus on the intersection of knowledge acquisition, personal development, practical action and access to networks. In her current role, Georgia leads strategic business growth to build and nurture relationships across the startup and commercial ecosystem, with the goal of creating a world-leading runway to launch Australia's brightest entrepreneurs. Georgia is passionate about education, strategy, leadership and pushing the diversity agenda (across all metrics) onwards and upwards. Samantha MacLeod is an accomplished professional with more than 20 years of experience supporting business strategies through technology enablement, risk management, security and governance. Samantha currently works as the chief information security officer for AGL Energy, where she is accountable for ensuring that security practices are integrated into strategic and operational planning processes. As part of this role, she is responsible for cybersecurity strategy at AGL. Prior to this, she was the general manager for cybersecurity at ME Bank and she worked at GE Capital HQ as the capital chief technology officer, IT risk solutions director and regional branch leader for Asia-Pacific. Samantha is an advocate of women in IT and women in leadership. In this capacity, she has held volunteer positions with Vic ICT for Women and Females in Information Technology & Telecommunications. She has sponsored programs for GE Womens' Network and ME's program for Women in Tech & Digital. She currently volunteers her time as a mentor for women entering into cybersecurity careers. Samantha is passionate about encouraging others to develop their careers in technology and cybersecurity, and is also passionate about people, leadership and building security teams aligned to digital and innovative cultures. Craig Laundy is the Minister for Small and Family Business, the Workplace and Deregulation. He was first elected as the Federal Member for Reid, New South Wales in 2013 and again in 2016 where he represented one of the most culturally diverse seats in Australia. Prior to his current ministerial appointment, Craig served as the Assistant Minister for Multicultural Affairs, Assistant Minister for Industry, Innovation, and Science and also as the Chair of the House Standing Committee on Economics. Before entering politics, Craig had a successful career working in his family’s business, Laundy Hotels, for over 20 years. During that time, he learnt many valuable lessons by working from the ground up in hotels before overseeing the modernisation of the business and handling front line operations. In his first term, Craig was outspoken on a number of issues important to his constituents. He is a vocal supporter of Australia’s small and family business sector, called for a review of parliamentary travel entitlements, campaigned in defence of Sections 18C and 18D of the Racial Discrimination Act, and advocated for the Australian Government to do more to help refugees fleeing conflicts in Syria and Iraq.